In a largely male dominated musical genre, to see a full jazz big band on stage with a woman in each section is one thing. To find a full big band of women is stunning. Full sections of trombone, trumpet, sax and rhythm, played with class and style. Add two powerhouse vocalists and you'll be blown away! 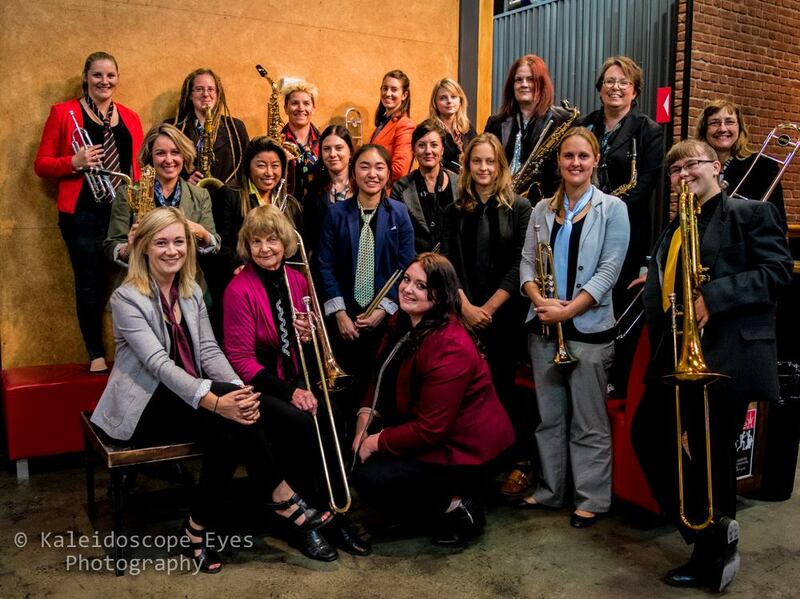 The All Girl Big Band, formed only a short time ago in January 2016, was brought about after a conversation between Lana Law, Kate Taylor and Jody Keehan at the ‘Doug and Doug’ Tribute Concert. It had us wondering if we could actually get a big band together here in Christchurch consisting of only female musicians. It didn’t take long between us to realise that in fact we could name virtually a full 17 piece big band of Christchurch female musicians. What was considered a crazy, out of the box idea finally became reality.